­­It’s only natural for anyone browsing the Internet to experience different website interface depending on the website they are visiting. Depending on the niche of the website, they are presented differently catered to the intent of how the website will serve the visitor. For instance, if the website is similar to a Wikipedia where text information is more important placing heavy media format in the website wouldn’t make sense. It will just slowdown the website load of the visitors. As for Ecommerce websites, presenting more visual detail if preferred, as this will entice them more to have a better glimpse of the item they are curious of. Imagine just putting pure text information about a product you are selling, users won’t give time reading to something and rely on their imagination to generate the product image. The problem with Ecommerce website is that by default they are loaded with media files that is required. They needed to take an extra effort just to balance the website load speed and its appearance. A good example of a well-balanced website is Lazada. This online shopping mall has huge selections similar to what you can see from a traditional mall. More selections mean more product images. Hence, website page load may take longer. But what I noticed when I first visited their website is that it loads fast. I’m currently using a regular DSL line and it loads fine. I guess they did a good job in optimizing their website speed and images. What I also like about their website is that you can easily navigate their categories and segment it in your preferred interest. From fashion to electronics they have it on their website. Conventionally, online stores in the Philippines are mostly focused on just one niche. Mostly in consumer electronics since a lot of Filipinos are techie in some way. Also, electronic gadgets are already part of our lifestyle in the society. Even smartphones are getting in demand more than ever. Now you can even do shopping right on your mobile phone wherever you are. Their “Quick View” button on their product pages is fast enough that you can easily go back to where you last left the page. It shows in popup window similar to how we view images where it fades the background to black while the image or product detail’s quick view is presented in the center of the website. This makes online shopping much faster as there is no need to go back to the previous pages and figure out where you last checked before you clicked the product page detail. 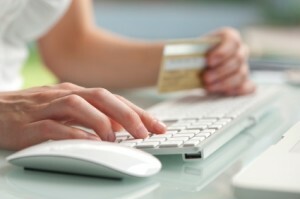 As for their payment process online, it just requires you as fast as 3 steps page from the shopping cart. Speaking of shopping cart, Lazada’s shopping cart in my opinion is very user friendly. You can add/remove up to multiple items, as you want. You can just select all the possible items you want to buy and just decide later on the shopping cart on which ones to eliminate. ← My StarCraft 2 Finally Arrived!! !